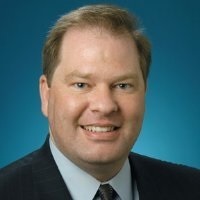 Christopher J. Boggs, CPCU, ARM, ALCM, LPCS, AAI, APA, CWCA, CRIS, AINS, joined the insurance industry in 1990. He is the Executive Director of the Independent Insurance Agents and Brokers of America (Big "I") Virtual University. His current duties involve researching, writing, and teaching property and casualty insurance coverages and concepts to Big "I" members and others in the insurance industry. During his career, Boggs has authored more than 300 insurance and risk management-related articles on a wide range of topics as diverse as Credit Default Swaps, the MCS-90, and enterprise risk management. In addition to this, Boggs has written 13 insurance and risk management books. Boggs is a regular speaker at industry events, speaking for groups such as the National Association of Mutual Insurance Companies (NAMIC), the National Society of Insurance Premium Auditors (NSIPA), the American Association of Managing General Agents (AAMGA), the Institute of Work Comp Professionals (IWCP), and the CPCU Society.